Meghan Markle needs to wait another year before having a second child with Prince Harry due to a serious reason. The Duchess of Sussex is considered a geriatric mother. Julie Jomeen, a professor of midwifery at the University of Hull, recently revealed that there is a study in Canada that recommends a gap year in between pregnancies. The expert said that women over 35 years old who conceived within six months after a previous birth had a greater risk of maternal mortality compared to their younger counterparts. “The issue is of course that older moms are more likely to plan to have babies closer together as they don’t have the same luxury of time in terms of their fertility as a woman still in her 20s would have,” she told Express. “However, the general health of the mom is an important factor here at risk. Ultimately, it has to be a woman’s choice. What is important is that they are aware of the evidence around birth spacing and that they make their choice based on good evidenced-based information,” she added. Jomeen also encouraged Meghan and other first-time mothers who are 35 years old or above to consider creating a birthing plan. Evidence suggests that induction of labor, for instance, is slightly more prevalent to avoid any risk of placental insufficiency. However, induced labor may not be for everyone. Meanwhile, Meghan is scheduled to give birth this month, and there are rumors suggesting that she has already given birth to her first child with Prince Harry. Unfortunately for royal fans, the royal couple announced that information about their child’s birth will be kept under wraps until after they’ve enjoyed the special moment as a family. 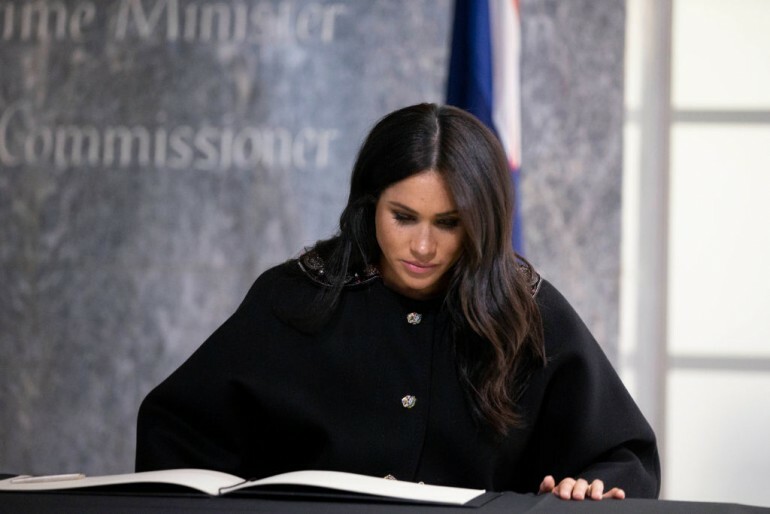 But earlier this year, Meghan told royal fans that she will be giving birth sometime at the end of April or the beginning of May. She has also gone off her maternity leave as early as the end of March. According to royal correspondent Emily Andrews, the Duke and Duchess of Sussex will share details about their baby, which will include the date of birth, name, place of birth and photos when they think it’s the right time to do so.